A Palestinian youth stabbed two Israeli soldiers at a road junction in the occupied West Bank on Wednesday morning before being shot dead. One of the injured is a 20-year-old who was reported to be in a serious condition with a neck wound and was taken to a Jerusalem hospital by helicopter. 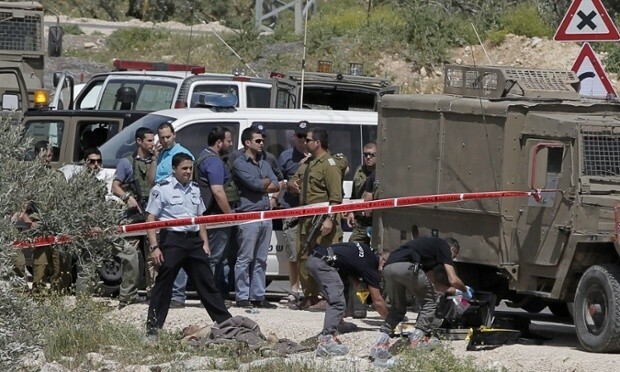 The incident took place at about 10am in the northern West Bank. A second soldier, also reported to be in his early 20s, was lightly injured in his back and is reported to have shot dead the Palestinian.